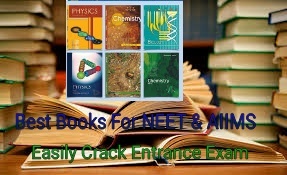 Hi Guys, I Know I am back, after long time this is because For Some Reason I am very busy and dont write a post in our blog But Now This Article very helpfull for everyone who prepare for Medical Entrance Exam Like NEET , AIIMS ,JIPMER Today I will tell you which books are very Important For these entrance exam NEET exam as coming soon as like 30 days are left And you will preparation hard then you qualify and good Rank in these examination. Now I suggest you these books are very important because 80 percent syllabus cover in these books if you prepare and read hardly then you all 100% qualified in Neet 2018. I suggest you if you want good rank in Neet Exam so dont use huge books Read Only NCERT books 11th & 12th . Its time to smart study so dont panic and focus only NCERT. And solving question papers daily and this book is best. Important Books AIIMS MBBS exam. 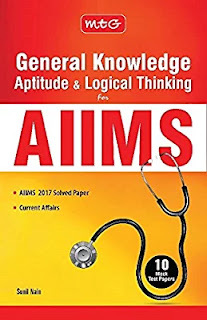 This GK book is really Great If you preparation aiims hard so I strongly suggeted you buy now this book it covered more the 18 marks out of 20 in Aiims 2018 examination. This 3 books very important you firstly buy this books because previous quetions 30 percent repeat in main exam . And these books are very low cost price. You need to buy this books Now because 50 days are left for Aiims examination. 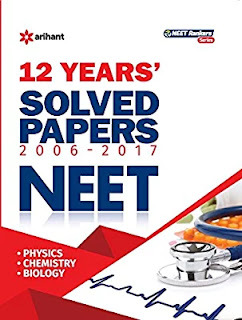 Now You all know,how to crack neet exam 2018. ,How to full crash course Neet for free how to crack aiims 2018 exam ,How to easily qualify neet exam.